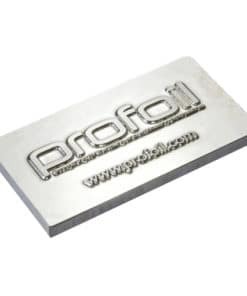 Profoil manufacturers high quality magnesium dies for hot foil blocking, which are available in various gauge sizes to accommodate your foiling/printing machines set type height. 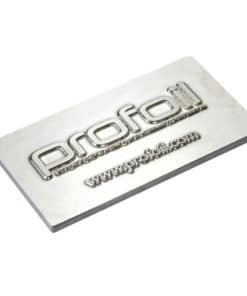 Our magnesium dies are produced through advanced UV light and chemical etching processors and always quality checked before dispatch. Magnesium blocks are recommended for short run operations, offering great value for money over brass or copper foiling dies. 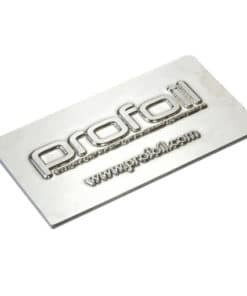 If you order before 12pm, we will dispatch your dies on the same day. 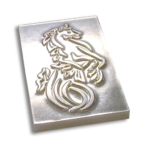 It is important that you read and understand our Die Ordering Guide before submitting your order.